I confess -- I hate to decorate for Christmas. So I don't. What I lack in festive trimmings I try to make up for in food. Still, every year I have that "Christmas In Connecticut" moment and feel an urge to do something. 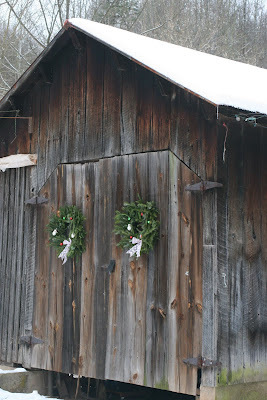 So this year I made two wreaths and hung them on the chicken house. I thought about hanging lights but I couldn't get up on that ladder. Where is Eddie Ross when I need him? Oh, your wreaths are lovely! The perfect touch. 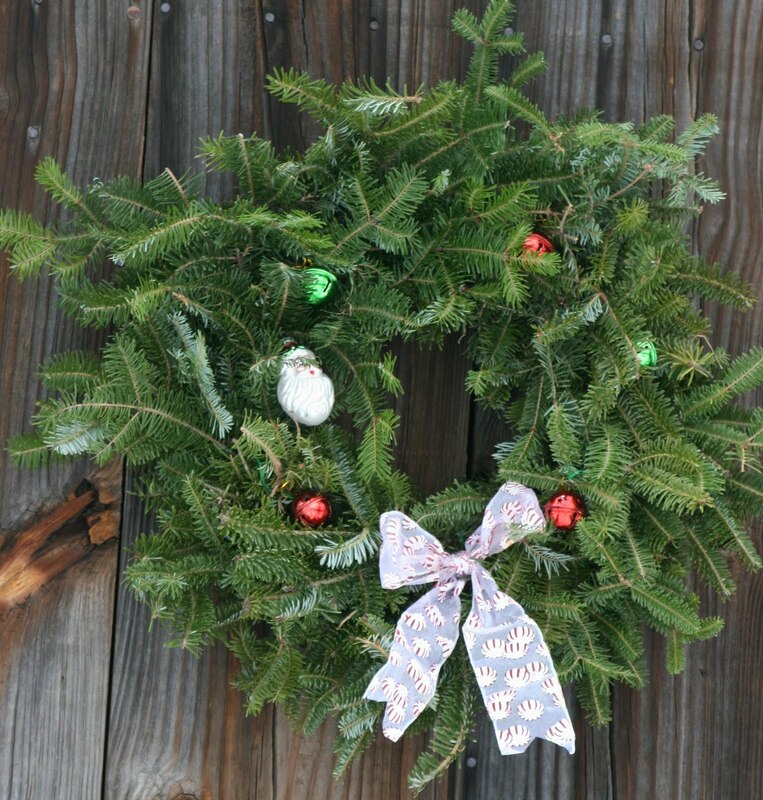 I love a real wreath. 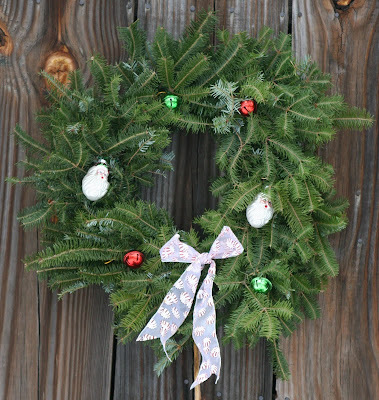 I just bough6t some, usually make my garlands and wreath. This year too busy. Lucinda, those are perfect. They look like they were made in a break between pies by a woman who's never seen a decorating blog in her life, a woman to whom the phrase "shatterproof bells" means the cast-iron kind: it's like you're channeling Grandma Moses. Tell her I said hi. Wish I were there, too. My great aunt Eustean also wreathed her chicken houses, these are very familiar and she baked cakes for the entire county with a many of their Eggs, Japanese Fruitcake, dark orange fruitcake, caramel cakes, and on and on. The chickens deserved that wreathed reward of their year's worth of accomplishment and contribution to the cause. Grand food over wreaths any day.